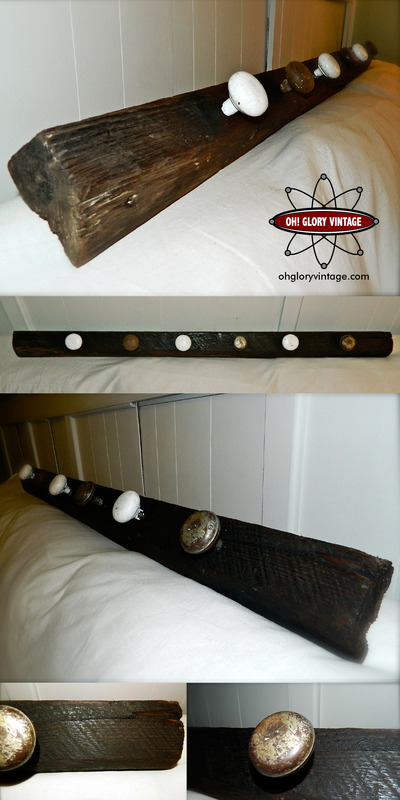 Large wall mount coat or hat rack made from a nice, weathered piece of reclaimed barn board. Rough cut thick weathered wood, finished with tung oil finish. 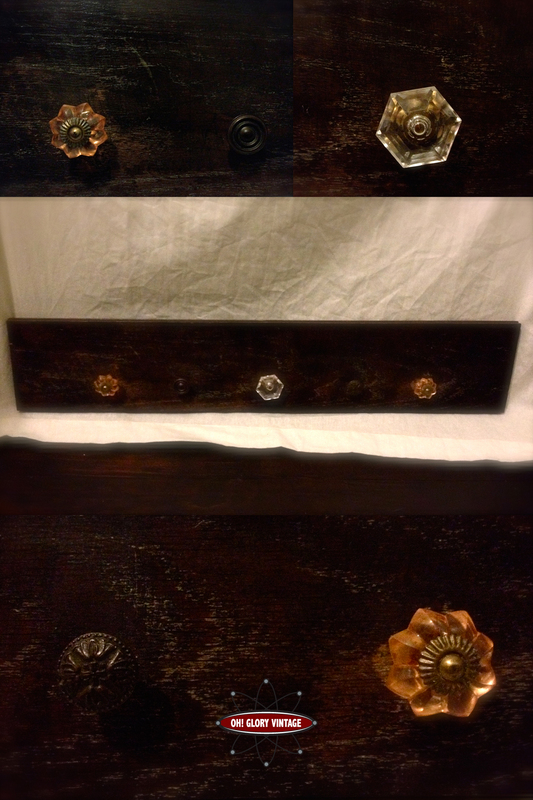 Uses 6 vintage door knobs, in alternating finishes (bronze and white) all with nice patina. Perfect for your cottage style home or farmhouse foyer.